If you've seen any Jane Austen movies such as Pride and Prejudice, Sense and Sensibility or Emma, then you've seen this lovely form of dance, which has been around for hundreds of years. The music is hauntingly beautiful and the dances vary from lively and jaunty to flowing and graceful. If you can walk and know the difference between right and left, you have much of the basic knowledge you'll need to do English Country Dancing. Beginners are welcome and partners are not necessary since our tradition is to change partners for each dance. No special clothing is needed, other than soft-soled flat shoes that won't skid or stick on a wood floor (For your own safety and comfort: no spike heels or flip flops). Most of the women wear skirts or dresses. 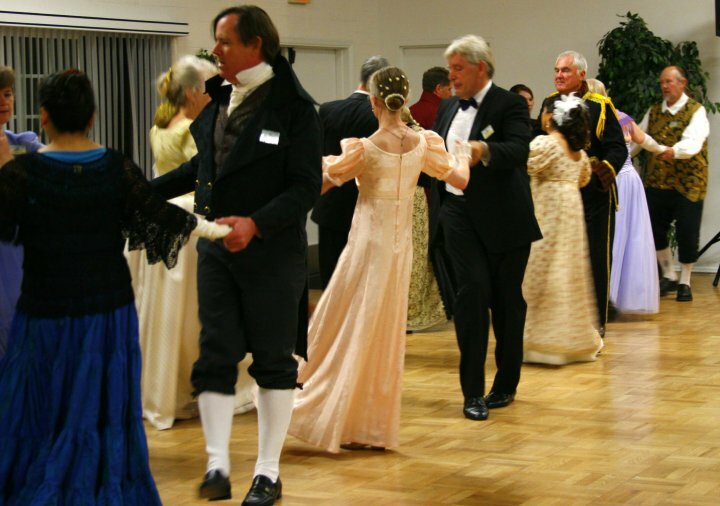 Here's the usual crowd at our 2010 May Faire Ball. 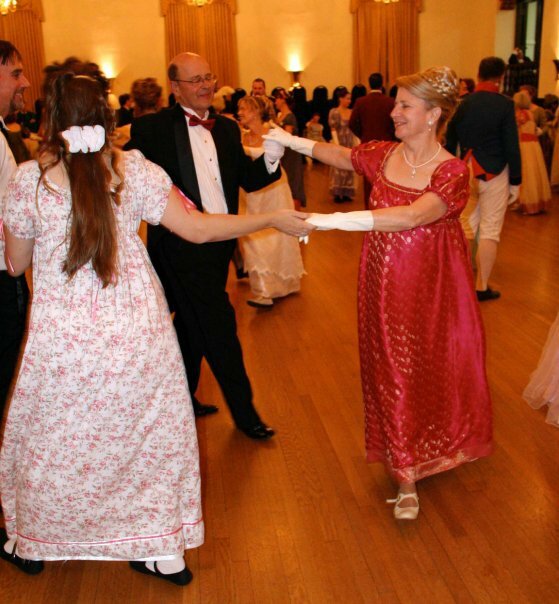 Some of our dancers at the 2009 Jane Austen Ball in Pasadena.